Failing to Plan - Not a New Issue! WWE has long been criticized for their lack of thought that goes into their weekly programming and for their predictable and repetitive story lines and matches. I think we went 347 consecutive weeks seeing some variation on Seth Rollins versus the Bar before they let that feud go. They continually misuse talent and despite the immense number of fans who are “Smart” to the business, they either lack the foresight or writing skills to design story lines that engage their fans. Recently, fans have speculated that the long awaited match between John Cena and The Undertaker at WrestleMania would finally take place at WrestleMania 34. There was a great build up to an appearance by the Undertaker at the Raw 25th Anniversary Show. Unfortunately, that fell through when the Undertaker gave us a lackluster and creatively boring speech about letting the souls of Manias past Rest in Peace. Then we had a dose of excitement at the Royal Rumble when we all anticipated the undertaker would make a return to the ring and face Cena leading to that amazing mania dream match. Unfortunately, the Undertaker didn’t show up. Instead, we saw a huge pop from the Philadelphia fans for a returning Rey Mysterio who ignited a frenzy in the audience and brought that sense of unpredictability to the Rumble. Rumors began to swirl last week that Rey may be positioning himself to make a return to WWE for a match with John Cena at WrestleMania confirming that the Undertaker match was off but that a new and exciting match was being planned. The Internet Wrestling Community has been buzzing about the possibilities for the match since. Bookings with other promotions were cancelled and it seemed all but a done deal that we would see the “Master of the 619” at the “Showcase of the Immortals”. Fast forward a week and Rey Mysterio has reportedly suffered a torn bicep and will miss a significant amount of time to recover all but assuring us that the Mania match is off the table. So what does WWE do now? They have an aging veteran but a major draw in John Cena who has been jobbed out to virtually everyone not named AJ Styles over the last year. They have an even older aging veteran in the Undertaker who is apparently not prepared to return to the ring yet and who would be limited in the ring at best. They have virtually no one who can provide a spark of excitement leading into the biggest show of the year. How will they fill out the card with compelling matches if they can’t find challengers for their biggest draws? This is a pattern with WWE. They fail to think ahead in their creative booking and when an injury or shift in ideological thinking occurs, they have no time or plan to fall back on. 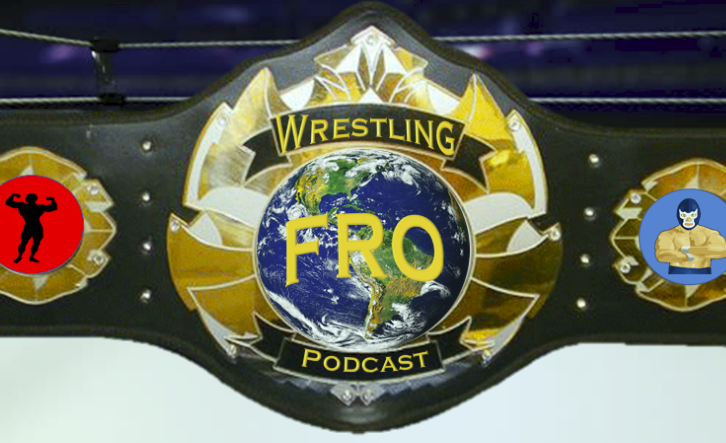 They have around a month to come up with something exciting and engaging for their fans to make WrestleMania 34 a success. Oh what to do, what to do? First - The Andre the Giant Memorial Battle Royal needs to be a viable and relevant attraction. It was rumored that they had discussed bringing in Goldberg to win the match last month. If you want to draw a crowd, then do it! Bring in Goldberg to make that match a success but make sure it isn’t loaded with fodder but real legitimate competitors including NXT Talents who show promise. Next - Showcase gimmick matches that will push talents to steal the show. I would book a 6 man Cruiserweight Money in the Bank Ladder Match for a shot at the Cruiserweight Championship. This gives the division a chance to showcase their skills on the grandest stage of them all and add some excitement to the show while, hopefully, bringing eyes to the 205 Live product. Then - Book the Main Events the way they should have been from the start. First, don’t mess with the AJ Styles vs Shinsuke Nakamura match. It is too good to miss out on a match of that caliber. Second, either get Roman Reigns out of the Universal Championship Match or add Braun Strowman and make it a Triple Threat ending with Braun standing tall with the WWE Universal Title to end the show. Finally - Give us something new, fresh, and completely unexpected! Give us Daniel Bryan! I know WWE is concerned about CTE related issues. I also know Daniel Bryan will be in a ring at some point this year and if it isn’t in WWE, then WWE will effectively create a competitor by allowing him to be the biggest draw in the business while not being signed to the biggest company in the business. WWE needs to give him an opportunity with a clause in his contract to render WWE free of legal ramifications should Bryan get hurt in his match. It wouldn’t even matter who his opponent was. I am in favor of either having the Shane McMahon match that has been discussed at length, having him face his former tag partner Kane who would protect him in their match, or allowing him to the be the perfect spark of excitement and mystique to a match with John Cena which would need no build whatsoever. 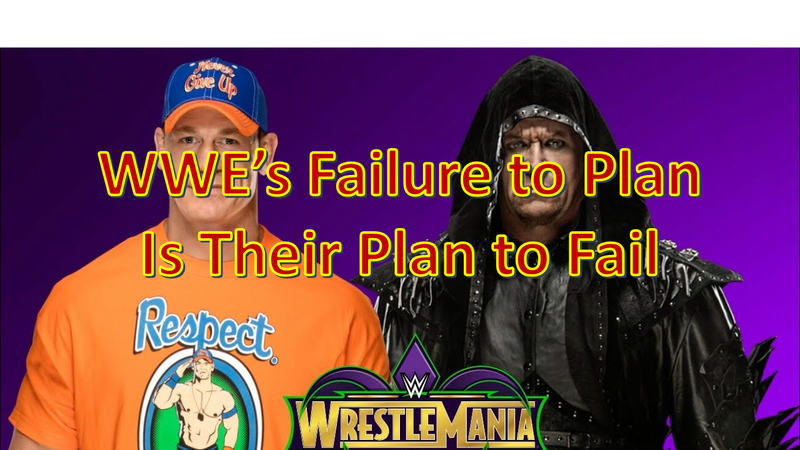 Because of their inherent lack of planning, WrestleMania 34 is looking weak on paper but they have an opportunity to fix it. They can make this year’s show, not only a great show, but an unpredictable and amazing card for the ages. It is time for WWE to start planning further ahead to avoid these issues. I spent 10 minutes and came up with several ideas on how to make the card more interesting. With all of their creative juices flowing, they should be able to come up with so much more. It is time for them to plan ahead and make the most of this event!